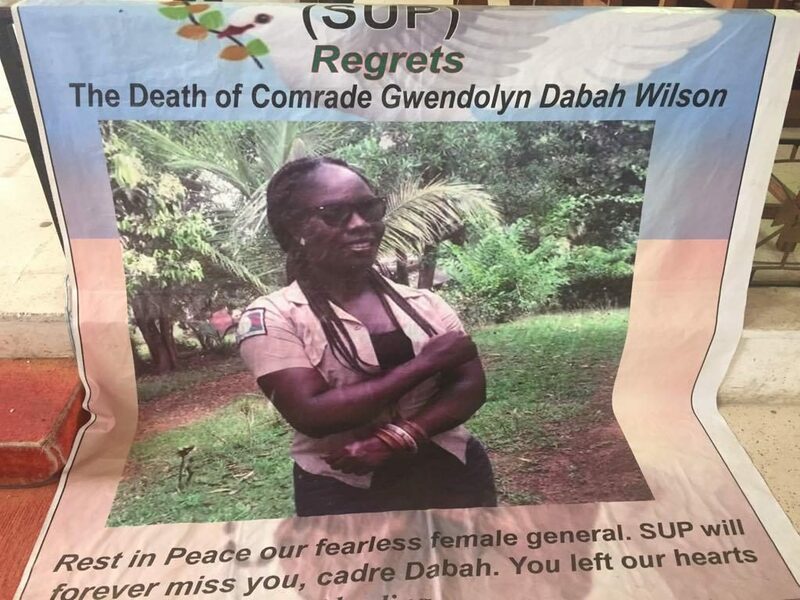 Monrovia – Gwendolyn Dabah Wilson, who was the other person, who died along with Montserrado County District #15 in the car crash, has been laid to rest. Ms. Wilson’s funeral was held Friday, April 12, at St Thomas Episcopal Church in New Kru Town, Bushrod Island. Paying tribute to their fallen comrade, the standard bearer of the Student Unification Party (SUP), Martin Kollie, described her as an “immaculate martyr and a rising star,” who lived a life of dignity, unity, integrity, audacity and service. “We will forever grieve this loss. Dabah has left us in a state of disbelief and anguish. It is too hard to accept. She was an ideologue of our party — very conscious, discipline and loyal to our principles, doctrine and tradition. We have lost a shining light, a genuine comrade, a brilliant sister, a unifier, an advisor and a real voice for women and girls across Liberia,” Kollie eulogized. He referenced her death to others, who had died before her, including Wuo Gappie Tappleh, Tonia Richardson and Michael Dolo as she will be remembered as a martyr, who served with outstanding distinction. “She will be dearly remembered, revered, loved, honored and memorialized forever. Her legacy shall forever live in our hearts, for she was a true patriot, who was loyal to her conscience and country. Dabah was at the center of all struggles and she stood up for what was right and just. We will celebrate her until we reunite,” the SUP Chairman further stated. 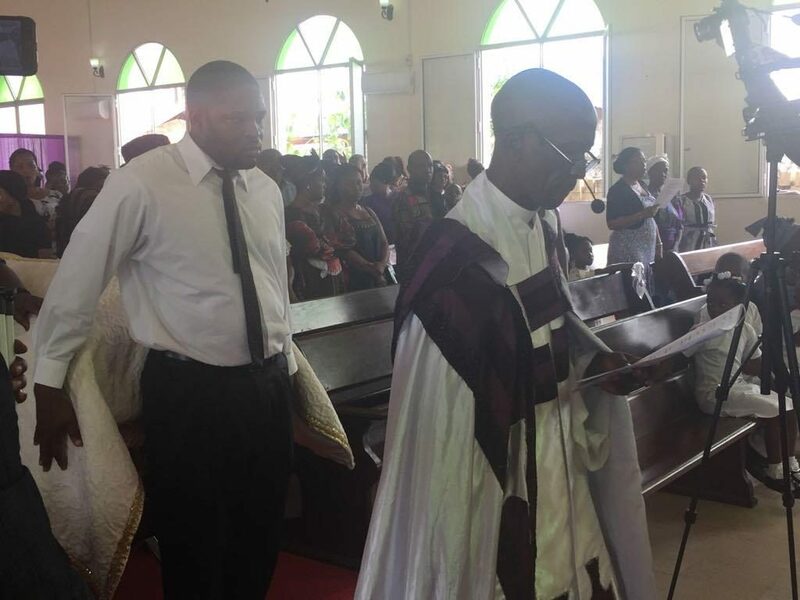 For his part, the Vicar of the St. Thomas Episcopal Church in New Kru Town, Rev. Fr. David Hina, stressed that death is a warning and a lesson to the living to better prepare themselves. Gwendolyn Dabah Wilson died along with Representative Adolph Lawrence on the RIA highway while on their way from the celebration of his 50th birthday at the home of his wife, Senator Nyonblee Karnga-Lawrence (Liberty Party, Grand Bassa County) in Buchanan. She was the Executive Director of the Girls Education & Empowerment Initiative (GEEI), and a strong advocate for uplifting women’s lives in Liberia. Her young organization, which has been in existence since late 2017, is a feminist non-partisan and not-for-profit group focusing on providing educational opportunities for children and young women from deprived communities and empowering them to step up as leaders of change. 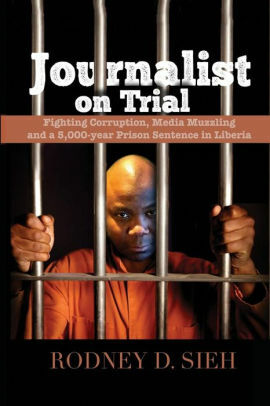 © 2019 - FrontPageAfrica. All Rights Reserved.